In the early 1980's, Dutchmaster commenced the design, development, and manufacturing of the "Dutchman's Tree Spade". Continual design upgrades over the past two decades have resulted in a number of models that can deal with trees of all calipers while maintaining their reputation for efficiency and dependability. This included a total re-design of all their models in the early 90's, in an effort to better serve the nursery/landscaping industry. Today, Dutchman's Tree Spades are #1 in North America. They have been imitated but not duplicated. Increase your productivity with a proven performer! 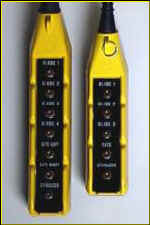 All Dutchman's Tree Spades come complete with a 5 or 7 Section Pendant Control Box. 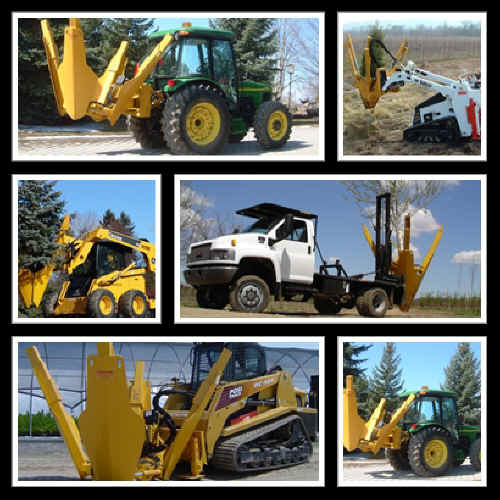 The Pendant Box is connected to the skid steer or loader by means of a single plug. 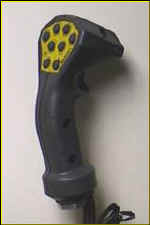 The optional Pistol Grip Joystick allows the operator (in most machines) to remove an existing joystick handle and replace it with ours. There is even an extra button on our pistol grips to load in your horn! The joysticks cable is sent down the loader arm and connected to the unit via a 2 plug extension cord.